We help you incorporate these awareness products into an integrated solution that moves you toward your goals. 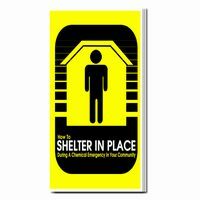 We have an expanding selection of posters, decals and handouts related to Homeland Security. 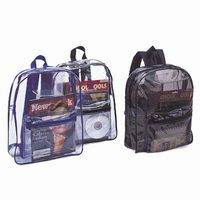 These (and thousands of other security-themed promotional products) can be purchased as-is, customized or we can create a new product design for your needs. Along with our Homeland Security Products, take a look at each of our other categories to the left for many other product lines that help you reinforce your Homeland Security message. 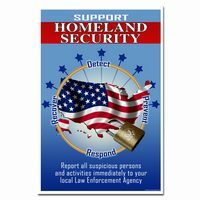 The cornerstone of any awareness plan is our collection of affordable Homeland Security posters, available in a standard 12" x 18" size and other custom sizes as well. With hundreds of posters to choose from, we're able to create awareness for all of your Homeland Security goals. When you need to put an Homeland Security message on or near a machine, a doorway, a process or a problem area, one of our decals is a perfect fit. Our decals are available in one color, two color or four color process and are die cut to fit any application. Lightswitch decals, close door decals, computer and printer decals and production decals round out our extensive decal library. Looking for a great gift for the Homeland Security champions in your business? 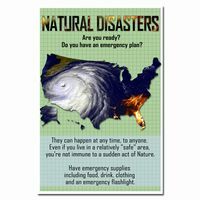 We carry Homeland Security themed handouts of all kinds including corporate gifts, mouse pads, notepads, information wheels, squeeze stress toys, gadgets, writing utensils and more. With a properly themed message, our Homeland Security handouts become expert motivators. When a message of Homeland Security is important, getting it out to the masses is critical! Booklets are available in many standard sizes or we can customize the size, style or message of any booklet to meet your needs. Have you been awarding the Homeland Security champions in your facility? If not, we carry over 3000 easily customizable awards in glass, crystal, marble, granite, cultured stone and a variety of other materials. If you don't see an award that you like but would like us to design a custom award for your Homeland Security champion, we can do that as well. Contact us for details.